Are you happy? This question can be a quick yes or no. This could also take a bit of thought. Happiness is a very personalized, very individual concept. We all have our own definition of happiness and whether or not we feel happy is completely up to us. So write down your own very personal definition of happiness. Got it? Now look at your answer, are you happy? Is what you are doing in your day to day life making you happy based on your personal definition? If you are....Great!! But you are not done yet... If you are happy, this is a great feeling but what you need to do is to understand what it is that you are doing that is making and/or keeping you in this happy state. Write at least 5 things that you are doing that's getting you to your goal of happiness. You want to have these recorded so if there is ever a time when you are feeling unhappy, you can remind yourself of those things that have worked for you. If you are not happy...Great!! Okay so maybe it doesn't feel so great, but, this is such an amazing time and opportunity for you to make a change and discover what it is that you need and want to be happy. Look at your definition of happiness, and compare that to where you are now. Now write down 5 ways that you can go from where you are now to where you want to be. If you are unsure, take a guess. Write it out and examine it. Are these things that you can do and are willing to do? If not, then edit and come up with ways you think are more appropriate for you. When you have them narrowed down, you are ready for the challenge. This is the fun part. 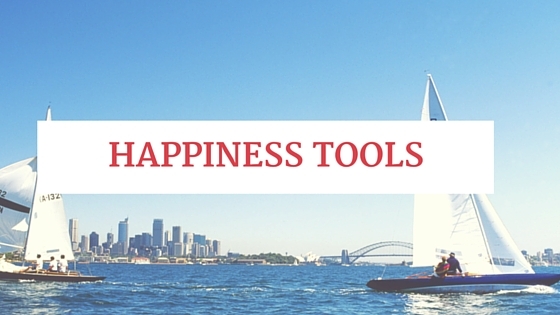 You have 5 new things to do to increase your happiness and move you forward. It is all fine and dandy to know what happiness is and what you need to do to be happy, but if you aren't DOING anything about it, it's not going to get you there. You have 5 actionable steps. Start with one of your ways to reach happiness and make this your focus for an entire week. Jot down any differences that you may notice. If you feel things are going forward, moving you toward happiness, keep it going, if it's not so great, change it up. Trying these new things may require you to get rid of some old things that you used to do, and in some cases, this will be the start to getting you to find happiness for you!